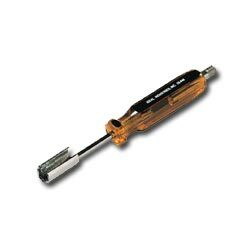 Combines two tools into one - a 7/16 in. hex socket and 3/8-32 threaded end. Makes installation and removal of CATV F-connections easy.